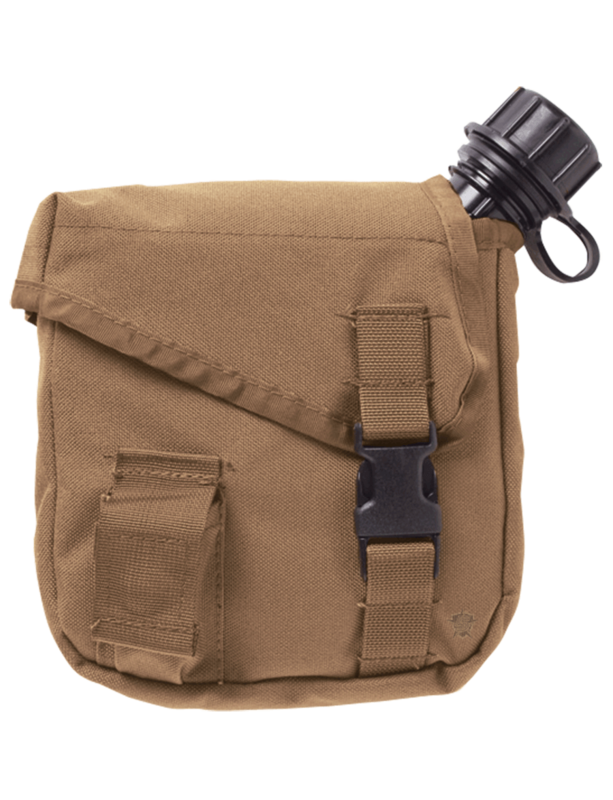 The 5ive Star Gear® MOLLE 2qt Canteen Pouch is a modular pouch that is made to the same specs as the original US military version with a rugged and durable ballistic weave material. They will hold a two quart collapsible canteen and feature an adjustable shoulder strap, small side pocket great for holding water purification tablets and other small accessories. The pouch is modular and attaches by reinforced universal straps to vests, packs, range bags, or other equipment.